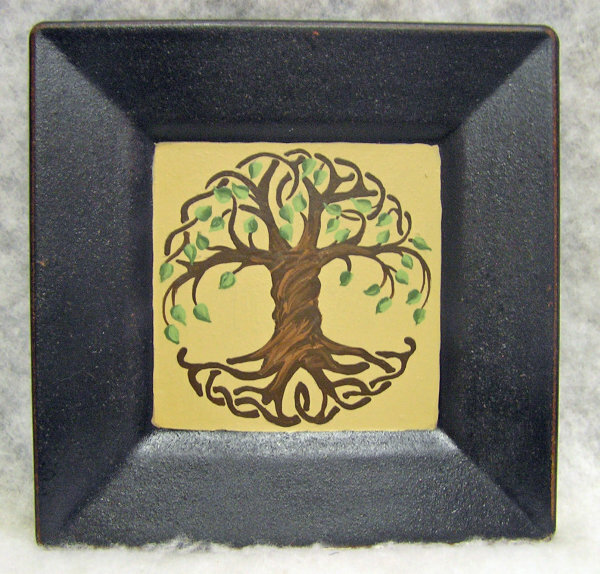 This hand painted plate is an original design unique to Manchester Cottage. It features a tree with an old twisted trunk and deep winding roots. It says "The roots of a family tree grow with love" along the bottom and can be personalized. It comes in two sizes. The large measures 12 x 12 x 1 and the medium measures 10 x 10 x 1. This is another Manchester Cottage unique design. It features a tree with an old twisted trunk and winding roots. It says "Storms make our roots grow stronger". It comes in two sizes. 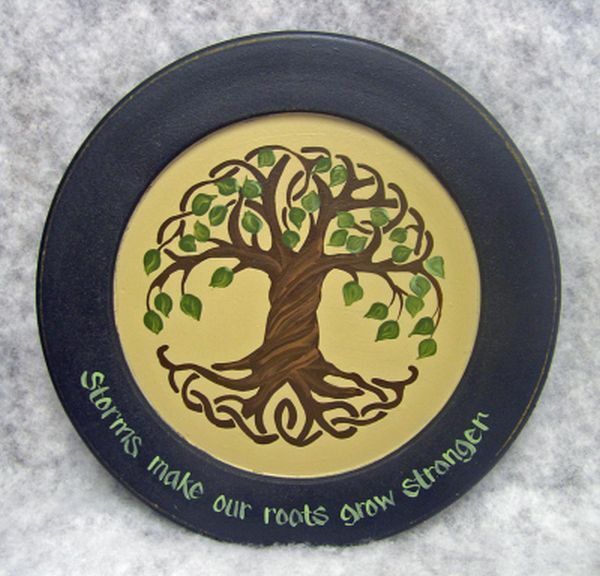 This wooden plate is a unique design from Manchester Cottage. 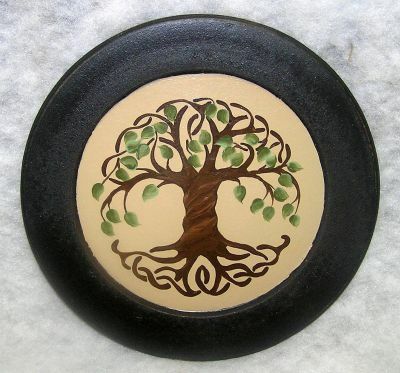 It features a hand painted old tree with twisted trunk and winding roots. It can be personalized at no extra charge. It comes in two sizes. 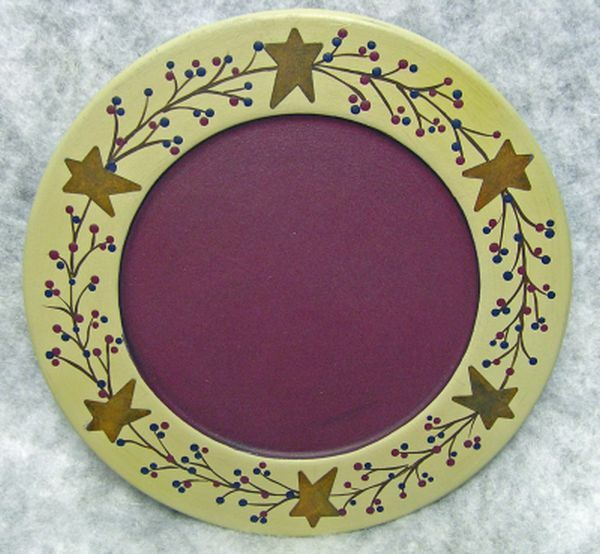 This original Manchester Cottage wooden plate features a hand painted berry design around the outside with rusty tin stars. It can be personalized in the maroon center. It measures 10 x 10 x 1. 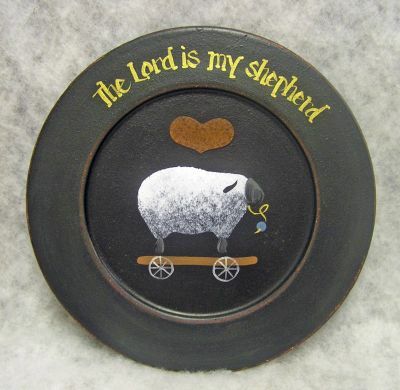 This is an original design hand painted wooden plate that is unique to Manchester Cottage. A berry design is under two sheep on the front. 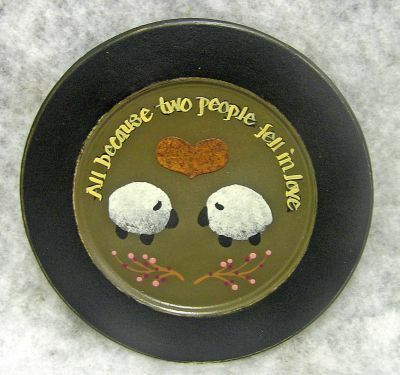 It says "All because two people fell in love". 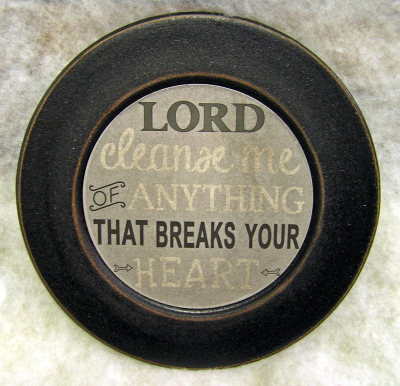 It can be personalized with last name, first names and marriage date, or whatever you would like. It measures 10 x 10 x 3/4. 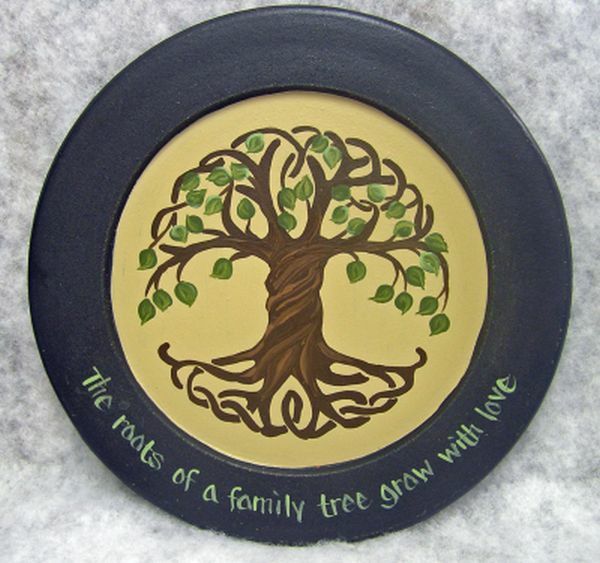 This original design hand painted wooden plate is unique to Manchester Cottage. It has 2 sheep on the front with a rusty tin heart above them. 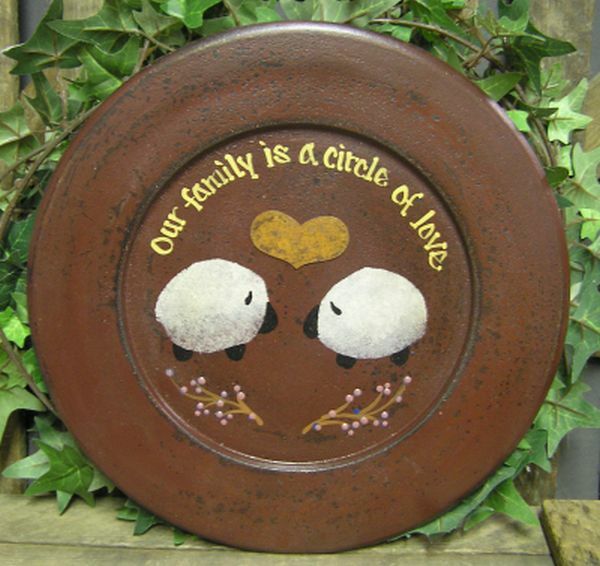 There is a berry design under the sheep and it says "Family is a circle of love" above them. It can be personalized. 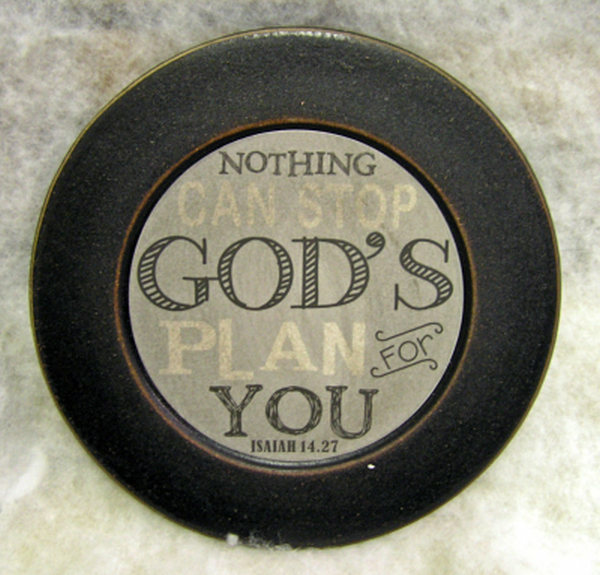 This wooden plate says "NOTHING CAN STOP GOD'S PLAN FOR YOU. ISAIAH 14:27". 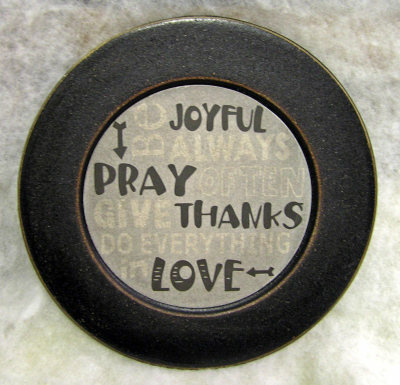 This wooden plate says "BE JOYFUL ALWAYS, PRAY OFTEN, GIVE THANKS, DO EVERYTHING IN LOVE". It measures 10 x 10 x 1. This wooden plate says "Lord cleanse me of anything that breaks your heart". 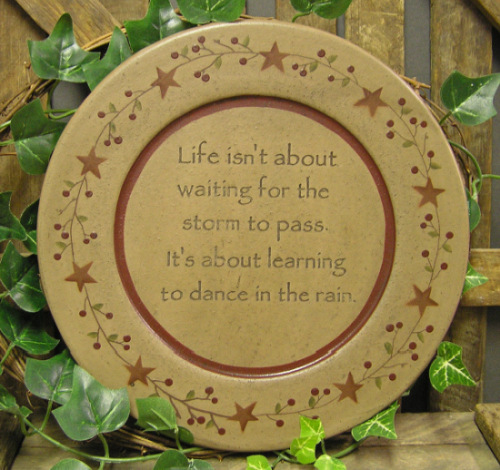 One of our most popular items, this plate has a berry and star design around the outside and says "Life isn't about waiting for the storm to pass. 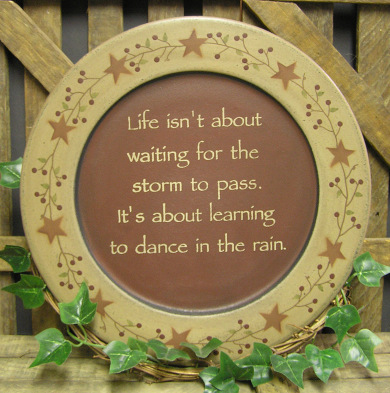 It's about learning to dance in the rain.". 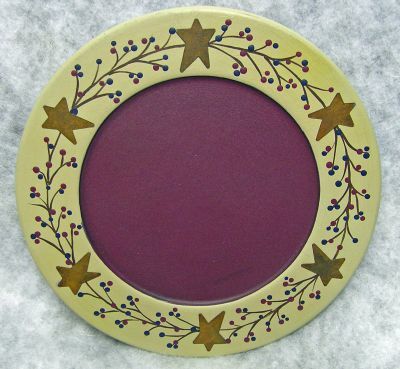 It comes in two styles: maroon center (shown), and cream center (click on photo to see this option). 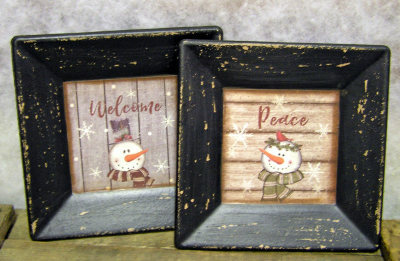 These wooden winter plates come in four styles: Welcome Snowman and Peace Snowman (shown) and Merry Christmas and Ho Ho Ho Santa (click on photo to see these two options). 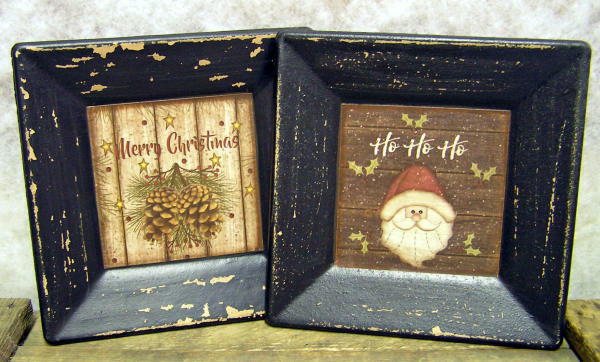 They have a rustic finish and can be personalized. They measure 6 x 6 x 3/4. 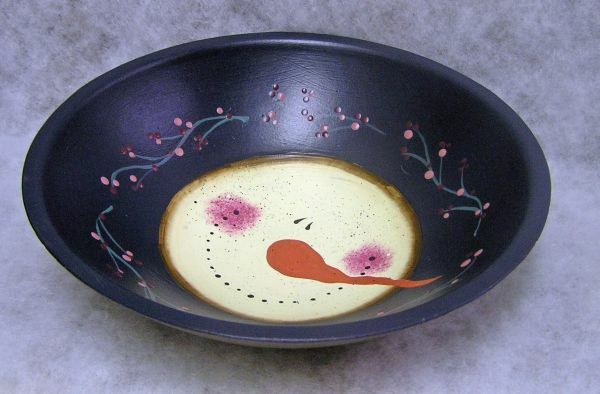 This original design snowman bowl is unique to Manchester cottage and comes in two sizes: 8 x 2 1/2 and 9 1/2 x 3. It features a smiling snowman head in the center and has a berry design around the inside edge. 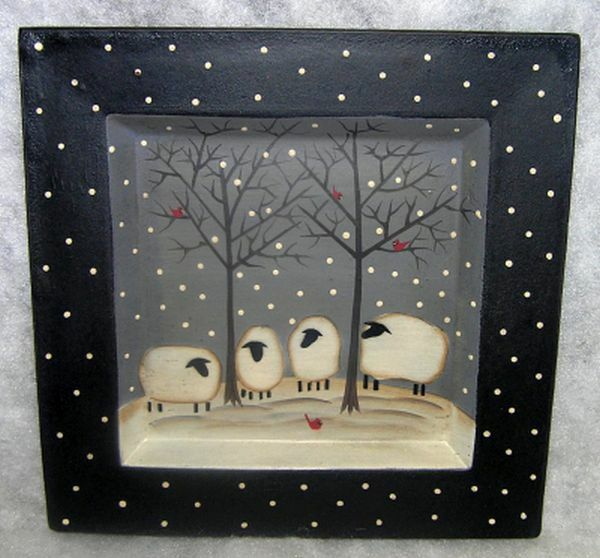 This wooden plate features four sheep in the woods with red birds in the trees and on the ground and a dotted snowy background. 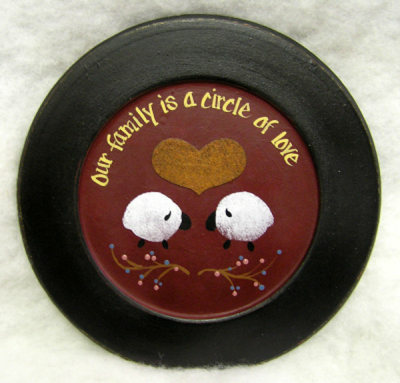 This wooden plate is another one from our original design series and is unique to Manchester Cottage. It features the words "The Lord is my shepherd" around the outside and has a sheep and rusty tin heart in the center. It can be personalized with whatever you would like.